Orglamix - May 2016 + Coupon Code! What is Orglamix Glam Box? 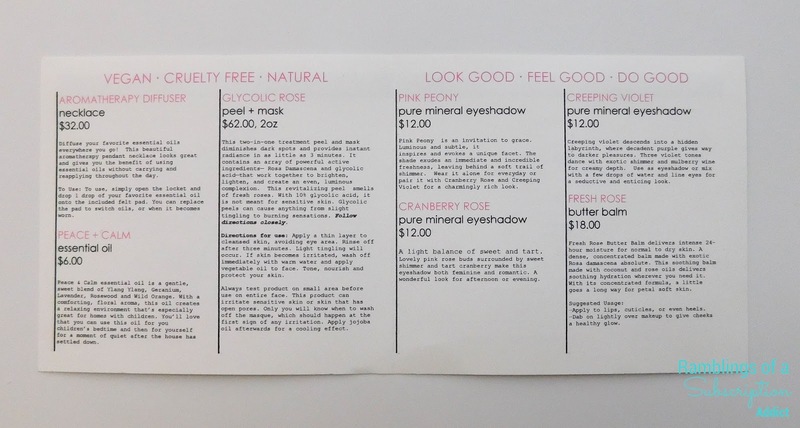 : Orglamix Glam Box is a natural, vegan, cruelty free cosmetics line, and they decided to start a subscription box to try out their products each month! 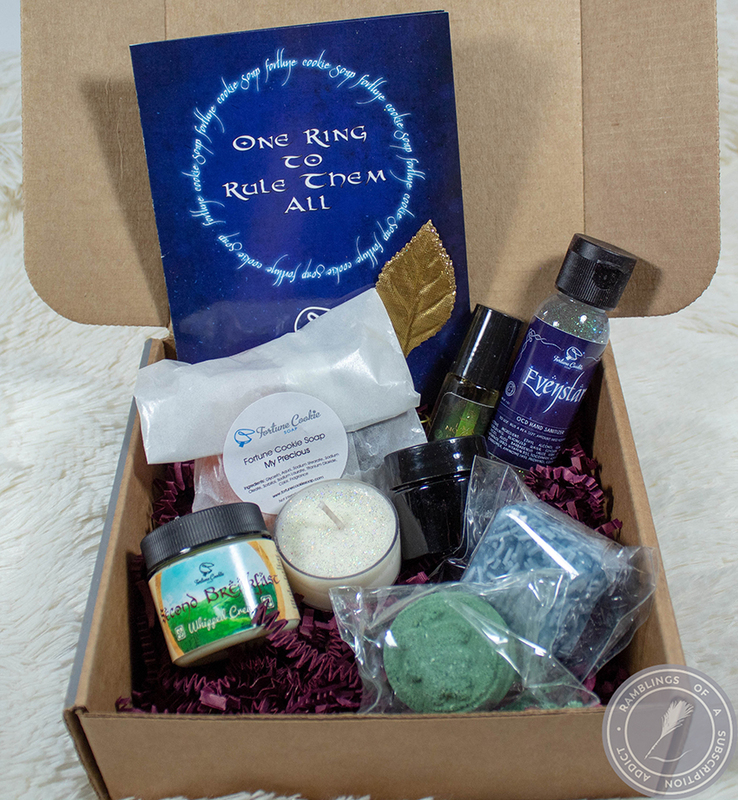 Each month will include 4-6 curated items and a $10 e-gift card to Orglamix! Also, for each box sold, Orglamix donates a a meal to a child in need via Rice Bowls. How Much is Orglamix Glam Box? : Orglamix Glam Box is $29/month with free shipping. With longer subscriptions, you can either get one or two boxes free! 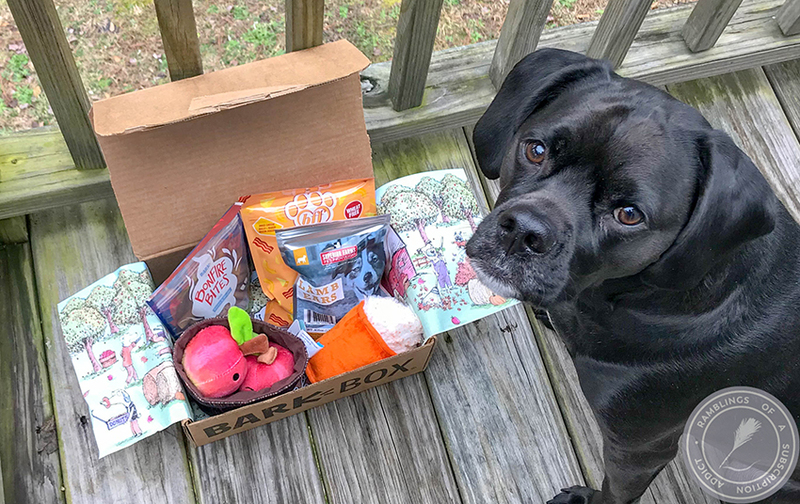 If you use code SWEET30, you get 30% off your first box! I was super excited when I saw another Orglamix box in my mailbox. 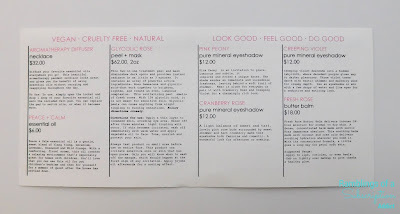 Their boxes are always well-curated and the products are the perfect addition to the makeup items they send. 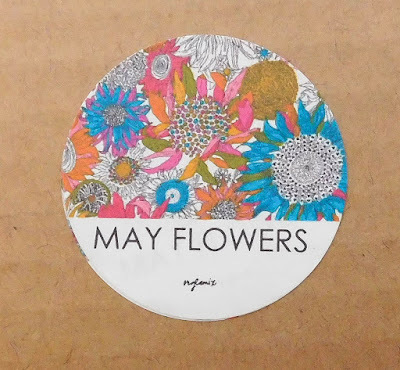 Love the theme, I love looking at flowers as long as they aren't putting off pollen to make me sneeze. Butter Balm (Fresh Rose) ($18.00) - This is an all-purpose balm, so you can use it on your lips, cuticles, anywhere! 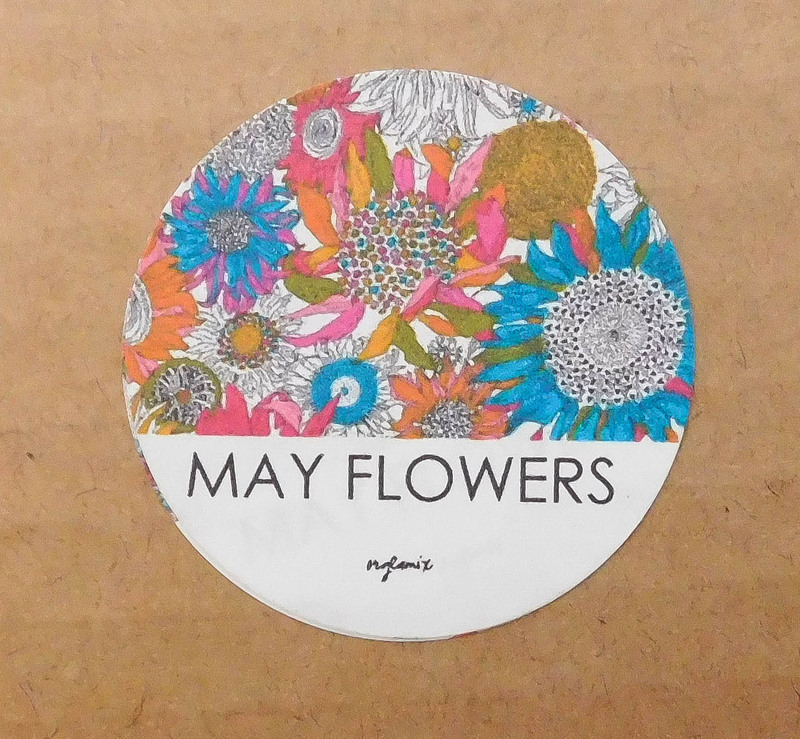 It has a nice fresh floral scent, as you could have guessed by the name. I love the scent 'Fresh Rose' and I wish I could find it on the Orglamix website. 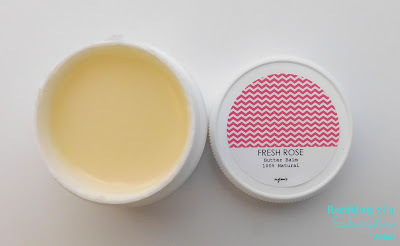 I have plenty of cuticle products, so this has been placed in the lip balm category! 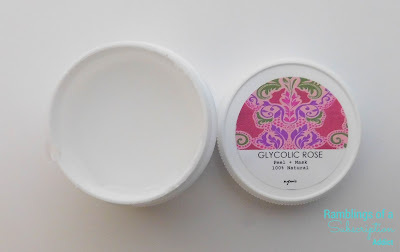 Peel + Mask (Glycolic Rose) ($62.00) (Box Exclusive) - The info card says to do a test before using it on your face, and I can understand why! This is a peel (10% glycolic acid), so it does tingle a bit. If I had immediately tried it on my face, I would have been very nervous and probably wouldn't have used it on my face. It's not meant for sensitive skin, so be wary of that if you try it out and make sure you take it off as soon as you start to feel irritation! 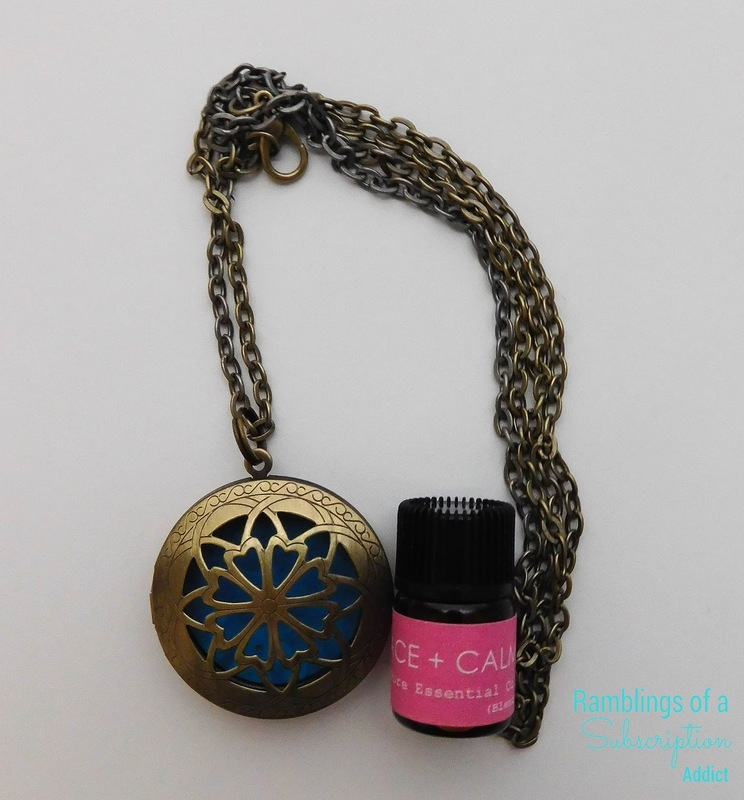 Aromatherapy Necklace Diffuser ($32.00) - I really love the design of this necklace, it is an antique design to go with every look. Because I don't really wear necklaces outside of the house, I am using mine as a desk ornament(?) so I can smell the essential oils while I'm working. Essential Oil (Peace + Calm) ($6.00) (Box Exclusive) - This is an essential oil blend that I will have to use the phrasing on the info card because I am not one to figure out the differences in scents. 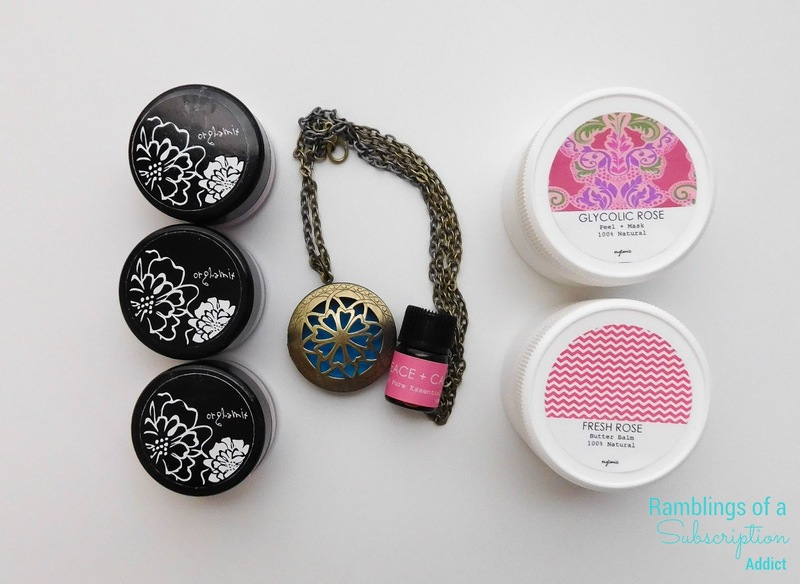 The scent is a sweet blend of Ylang Ylang, Geranium, Lavender, Rosewood, and Wild Orange. This is a relaxing scent, so it's perfect for calming you before bed. I don't use this exact scent in my office, so no worries on my falling asleep while working! 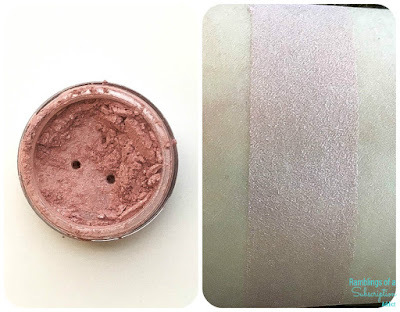 Pure Mineral Eyeshadow (Pink Peony) ($12.00) (Box Exclusive) - A delicate, light pink with a ton of shimmer. This shadow is gorgeous if you just want a little bit of shimmer for your eyes or to pair with the other two shadows from this box for a complex look. 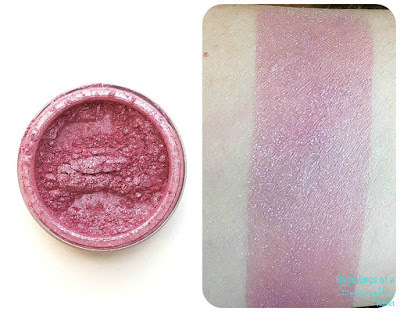 Pure Mineral Eyeshadow (Cranberry Rose) ($12.00) (Box Exclusive) - If I say I like a pink eyeshadow, there's something great about it. This is a definite rosy shade, somewhere in the middle of the pink spectrum. There's a little bit of shimmer to add something special. 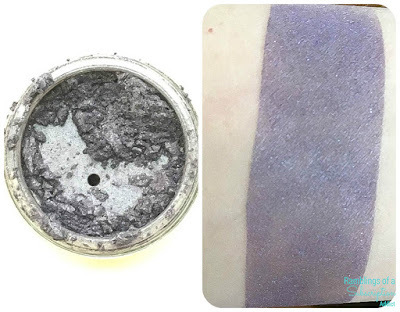 Pure Mineral Eyeshadow (Creeping Violet) ($12.00) (Box Exclusive) - This is a nice eyeshadow color, but I really love it as an eyeliner. 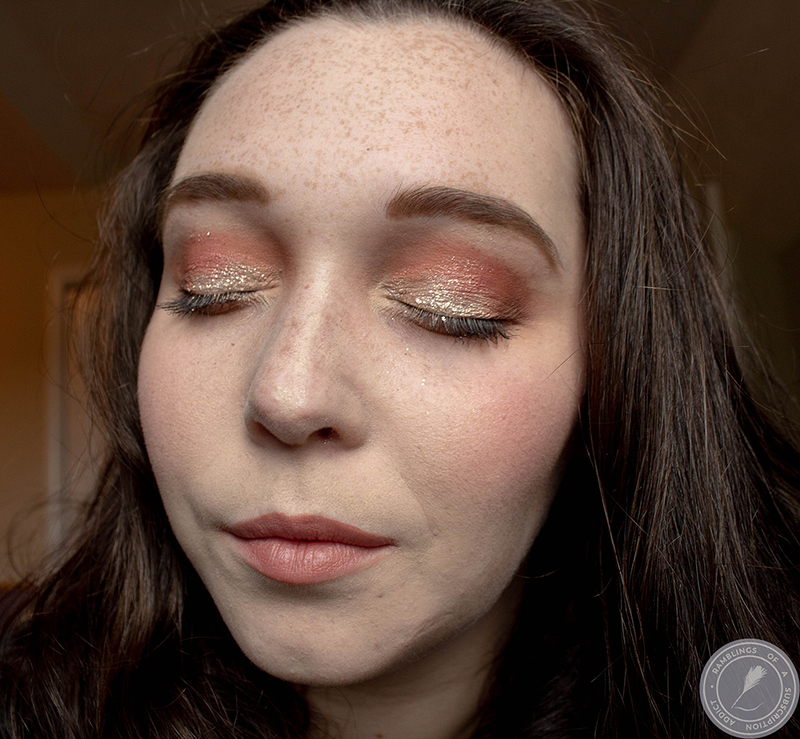 It adds some color and some depth to your eyes, and goes with so many different eye colors and eye looks. This box was valued at an astounding $154! This is based mostly on the prices shown on the card due to there being so many box exclusives, but that's what makes this box so unique and fun! The products were perfect and the shadows are so wonderful for the theme.